Designed as a system to tow a vehicle behind a trailer, the 47056 Flex-Coil™ adapter provides the reach needed between the RV and the towed vehicle while ensuring that the wire will not drag due to the Flex-Coil™ design. Nite-Glow™ connectors illuminate upon activation of the taillight function to verify electrical continuity between the RV and the towed vehicle. 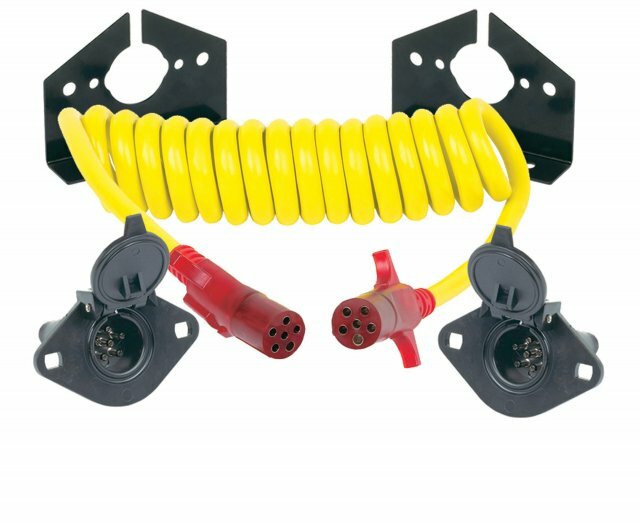 This kit also includes a two black plastic 6 Pole Round sockets with mounting brackets for installation upon the towed vehicle and RV.